It’s one of the big events on the tech calendar, Samsung’s annual Galaxy smartphone reveal. At the last launch Samsung changed up the design of the already excellent S7 to give us the Tardis-like S8. It featured an 18:9 curved OLED display, which almost magically felt bigger than the phone on which it sat. Samsung’s phone launches are often like a breath of fresh air. Where so many other phone makers seem to be launching warmed-over repeats of their previous efforts (albeit with a few cosmetic changes), the S8 sported a fresh design. Unsurprisingly, hype levels are sky-high with the S9. Like its predecessors, it’ll set the tidemark for consumer expectations and design trends that many other phone makers will ape throughout 2018. With the S9 not far away, here’s everything Witchdoctor has been able to find out so far. Design-wise, leaked renders of the Galaxy S9 look very similar to the S8. This makes a lot of sense given Samsung’s launches typically run to a tick/tock cadence. By this I mean that a tick year is when you get a design refresh, and a tock year is all about refining what’s under the hood and adding functionality. This may be seen to many as a disappointment, but if Samsung follow small design refinements with big performance gains and useful features they may just get away with it. Based on leaks so far, it appears that much of the S9 will be like the S8 with only minor tweaks to its looks. These are likely to include both top and bottom bezels getting trimmed, but little else will differ. At least that is until you spin the S9 around to reveal its rear. Last year’s pain-point with the S8/S8+ was the tricky placement of its fingerprint sensor. If the rumour mill is correct, it appears that Samsung may have listened to consumer groans and moans to move the fingerprint sensor just below the camera, making it much more reachable. Either way, it looks like Samsung are not looking to follow Vivo with an under-glass fingerprint sensor. 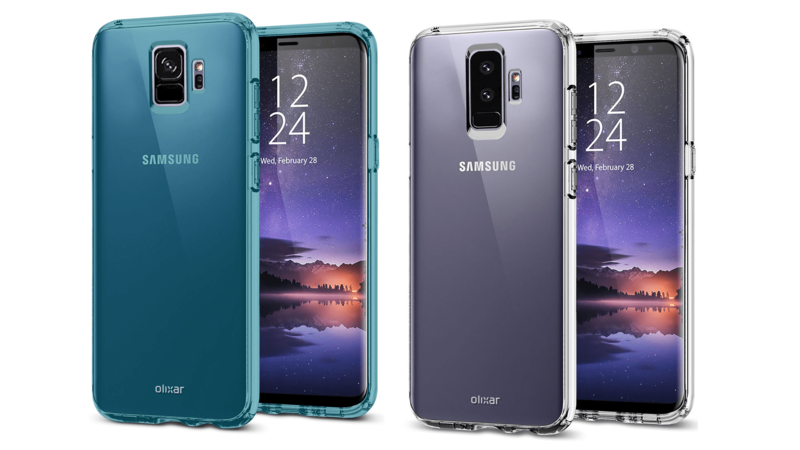 Last but by no means least design-wise, the S9 is expected to ship with a new colour option. In addition to black, gold and blue Samsung should also have a violet colour option, which is said to replace orchid grey. It’s a given that the S9 will be a performance powerhouse. Owing to the litigious environment in the US, the S9 will ship with a Snapdragon 845 CPU in the US and in-house developed Exynos silicon elsewhere. The Snapdragon 845 is Qualcomm’s latest and is no performance slouch. It’ll offer more grunt than a piggery yet be miserly with battery life. The big news will be that the 845 CPU will also include an AI co-processor similar to that which Huawei pioneered with their Mate 10 range. This should see the Bixby assistant actually being useable and the S9’s hotly anticipated camera getting smarter too. The 845 CPU will also come with hardware Secure Processing unit which should help lock your phone and keep payment credentials secure. It is also said to work with Samsung Knox, which will be useful for suited and booted corporate types. Elsewhere, the Exynos 9 Series 9810 will power the S9. It’ll use the same big little architecture that powers most smartphones. This will see it consisting of four high performance CPU cores (clocking in at a brisk 2.9GHz), and four slower (but more energy efficient) CPU cores to preserve battery charge levels with less demanding tasks. These cores are expected to consist of the Cortex-A75 and Cortex-A55 core designs that ARM announced late last year. Samsung’s blurb also highlights that like the Snapdragon 845, the Exynos 9 will be designed to accelerate machine learning. The Exynos 9 will be manufactured using Samsung’s second-generation 10nm technologies. Techie speak aside, this should translate into an extremely energy-efficient design with few performance compromises. 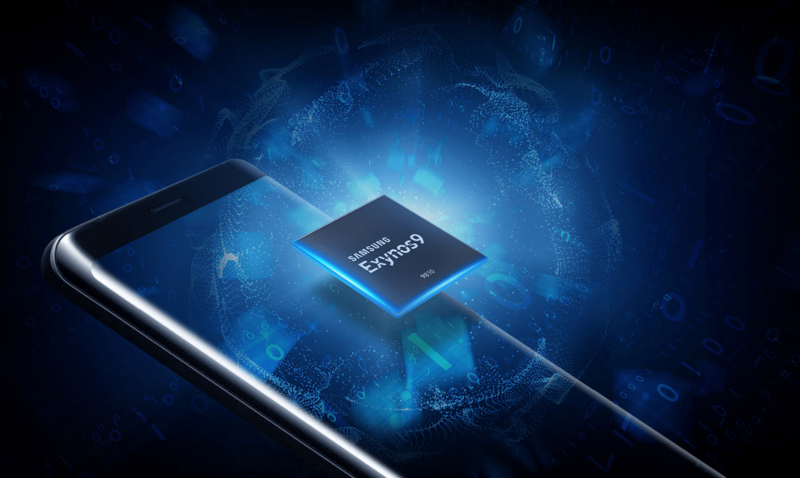 Samsung say the Exynos 9 will offer up a doubling of single-core performance and something approaching a 40 percent boost in multi-core performance. Samsung’s announcement of the Exynos 9 also included the fact that it’ll come with a separate secure processing unit for handling sensitive personal and biometric data. This spurred a raft of stories on how the S9 might offer iPhone X-like 3D face scanning capabilities (it probably won’t). There’s also good news for data-heavy users. The modem inside the Exynos 9 is one of the first to support six-carrier aggregation. In plain English this means you should be able to shunt 4G LTE data around at a blazing 1.2Gbps provided your telco’s network supports it. On the image processing front Samsung have also said that they’re baking real-time out-of-focus photography into the S9’s camera. This should bring cool bokeh effects to your photos and videos. Speaking of which, video should be able to be captured at up to 120fps video recording in Ultra HD, and image stabilisation is also said to have been improved. With storage, things are also looking up. Samsung had already announced they’d started manufacturing 512GB storage chips. Most industry pundits are already saying that this won’t end up in the S9, and that a 128GB model is more likely. Either way, more storage and SD card support is always a good thing. It isn’t just hardware either. Samsung have also been busy tweaking a beta version of their custom interface (AKA Samsung Experience 9.0), which is based around Android Oreo. It’ll bring incremental improvements and features into play such as notification badges, a smarter auto fill and tweaks that are S9 specific, including Edge lighting. One of the big attention-getting trends with smartphones now is Biometrics. Some say Samsung dropped the ball with the S8 by placing its fingerprint sensor beside the camera, but the rumour mill has it that Samsung could up their game in the biometrics space with the S9. Synaptics began mass production on in-display fingerprint sensors and many say that it’s going to be one of the big selling points on the S9, based on rumours to date, but an under-glass image sensor isn’t looking likely. Other rumours say the S9 won’t have a 3D face-scanning capability, but it will have improved 2D facial scanning. The Korea Herald reports that Samsung will be upping the megapixels on its iris sensor from 2MP to 3MP, and that it is also optimising biometric software for greater accuracy. Both these tweaks should in theory make the S9 better able to recognise your mug and eyeballs even when wearing glasses. 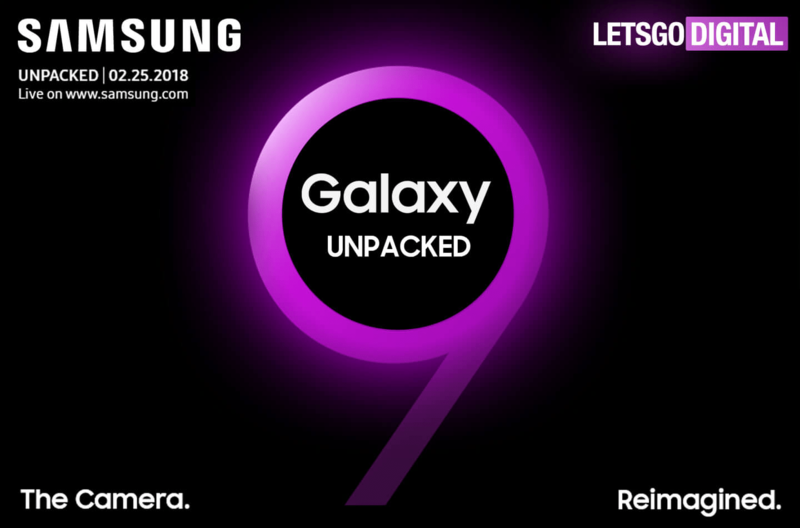 Samsung’s own marketing blurb for the event hints that the S9 will have a “reimagined” camera. The good money is on Samsung following up on the Note 8’s successful dual rear camera setup. While there may be enough room for two image sensors on the S9+, its smaller sibling, the S9 is probably going to be remain equipped with a single camera. The S9/S9+ rear cameras are said to sport an f/1.5 aperture, which should help with low-light shooting. Even more appealing, users will be able to manually choose variable aperture settings ranging from f/2.4 to f/1.5. This should translate into improved low light photos with greater sharpness and more definition. If that’s the good oil on what to expect with the S9/S9+, the next big question becomes one of when. Samsung has confirmed that it will again launch the Galaxy devices at Mobile World Congress in Barcelona on February 25. Watch this space!